A Biblioteca da Universidade de Yale anunciou recentemente a digitalização e disponibilização gratuita dos quarenta e oito volumes que constituem a correspondência do autor de The Castle of Otranto. Para consultar aqui. Yale’s Lewis Walpole Library has digitized the complete 48 volumes of “The Yale Edition of Horace Walpole's Correspondence” (Yale University Press, 1937-1983). 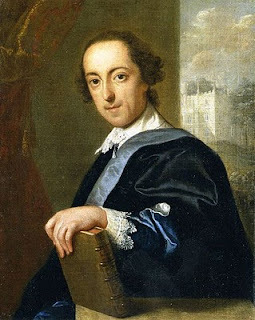 This new digital resource provides free online access to the complete correspondence of Horace Walpole (1717-1797). An author and collector, Walpole is well known for his Gothic villa called Strawberry Hill, which was built along the Thames River and attracted so much attention that it was considered a "treasure house." Walpole was the youngest son of Sir Robert Walpole, England's first prime minister. The digitization of this scholarly work coincides with the 294th anniversary of Walpole’s birthday in September.